Have you ever really wanted to accomplish something but felt like you couldn’t? Coach Helgi Freyr has been there. He was injured during football practice and ended up playing video games on the couch instead of playing sports on the field. He was sedentary and overweight. It took some life changes and a failed Handstand against the wall attempt, but he transformed himself, lost weight, opened a gym, and basically became a one arm Handstand guru. Oh, and he got a PhD in Physics. Want to be inspired? 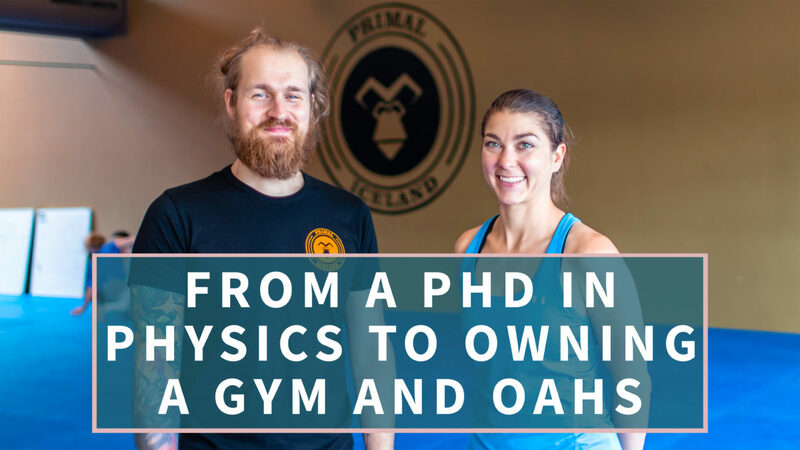 Check out our friend Soundschi’s awesome interview with Coach Helgi Freyr. He drops some deep knowledge. Below are some tips that stuck with me. *Flexibility is SO important when it comes to Handstand safety and alignment. *You can prevent regression in one arm Handstand training (and lots of physical skills training as far as I’m concerned) by tricking the brain and changing up small things. No really: wear a tighter t-shirt, try putting on a different color, go outside. Your Handstand practice will thank you. *You can prevent pain often caused by Handstand training by fixing your line and movement pattern. *Taking breaks can help with your Handstand practice. Just make sure it’s longer than 6 days. Whaaaat? *The best Handstand Program for you is the one YOU DO. Duh. Watch full interview below, there’s a lot to learn from this beast of a man. So much transformation and inspiration. Our friend Soundschi over at Handstand Diary is a great interviewer! To support her with a shoutout or question, please go to her YouTube feed or head over to handstanddiary.com and reach out to her directly. Stay tuned for more Handstand knowledge and inspiration from me and Kyle coming up soon!